Creating your child’s cerebral palsy life care plan is one of the most important things you can do. A life care plan includes all the elements of care, and all the people and professionals your child will need for life. With the plan completed, you will have thought out all possible needs your child will have and will, therefore, be giving him the best chance of living a great life in spite of having a disability. In addition to planning for your child’s future, your life care plan is important as a legal plan. It will document the care your child needs, and the expenses, to act as evidence in a case against your doctor or hospital. A crucial part of that is the diagnosis of your child’s cerebral palsy. You will need to work with your legal team and your medical professionals to develop a detailed documentation of the diagnosis. To treat any illness or condition, having a detailed and accurate diagnosis is crucial. In the case of a birth injury-related condition like cerebral palsy, the diagnosis becomes even more important on a legal level. The diagnosis will help the medical care team develop the right treatment and interventions for your child, but it will also help the legal team develop the best plan of action and present the evidence for your case against your doctor or hospital. Getting a diagnosis brings peace of mind to parents. If you know something is not right with your baby, finally getting a diagnosis is a relief. Additionally, it helps you and medical staff members understand the health status of your child and puts you in a position to get him early treatments and interventions and helps you attempt to secure financial benefits to help with the costs of this care. A formal diagnosis is longer and more involved than most diagnoses, but it is needed for a complicated condition like cerebral palsy, especially when including it in legal documentation. 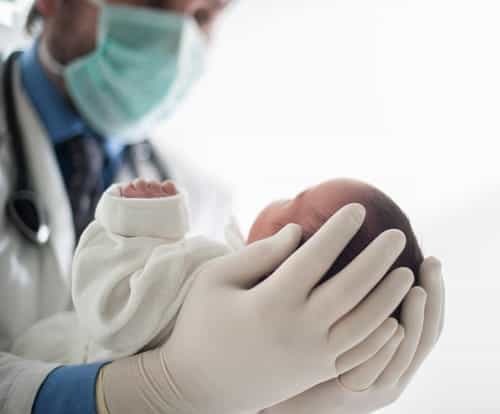 The documentation should include the cause of the cerebral palsy, the form, type, and severity, and any other medical records involved in the labor, delivery, birth, and medical care provided after birth. There is no single test that diagnoses cerebral palsy. Your doctor will need to look at a number of factors to make the diagnosis. When a diagnosis is made depends on the severity of the condition and the symptoms your child exhibits. In some babies, it is obvious early on that there is some disability, while for other children the symptoms may not be clear for a year or two. Missing developmental milestones is usually when parents see that something is not right and seek a diagnosis. Diagnosis of cerebral palsy will include several components: tests of reflexes, posture, coordination, and muscle tone. Imaging scans like MRIs and CT scans may be used to look at the bones, joints, and the brain. Your doctor will look at developmental targets and any delays in your child. Your doctor may also run tests to rule out other conditions and may involve specialists to get the best diagnosis. Who is on the Life Care Plan Diagnosis Team? Getting that first diagnosis is important, but the next thing you will need is a more documented and detailed diagnosis to be a part of your child’s life care plan. The diagnosis may include pediatricians, developmental specialists, neurologists, radiologists, neuroradiologists, orthopedic surgeons, pediatric geneticists, neonatologists, otologists, and other specialists that contribute to the final diagnosis. The roles of these medical specialists are not simply to diagnose cerebral palsy, but also to rule out other conditions that could explain symptoms: genetic disorders, nervous system tumors, muscle diseases, degenerative nerve disorders, metabolism disorders, blood disorders, and other types of birth injuries. The diagnostic documentation that makes up part of the life care plan for a child with cerebral palsy includes several important components. The first is simply all the documentation that shows the child has cerebral palsy. Any medical records involved in making this diagnosis, as well as documentation from all the specialists involved, are important for the life care plan. The diagnosis should also include documentation of the type and form of the condition. This includes whether it is mild, moderate, or severe, the classification of gross motor function, the location of the physical disability, such as on one side of the body or the other, and the extent of any paralysis, whether there is some paralysis or just muscle weakness. The cause of the cerebral palsy must also be documented and this is most important for the legal aspects of the case. While the doctors and specialists are making the diagnosis, they should also be determining the cause. The documentation should show that there is brain damage, through radiological evidence typically, what caused that brain damage, and when it occurred. Because cerebral palsy does not have a single, definitive diagnostic test, traditionally, diagnoses have been the culmination of months, or even years, of observations. The problem with this is that it delays treatment, but it also delays litigation, sometimes to the point of going past the statute of limitations for medical malpractice. The American Academy of Pediatrics issued a report in 2013 that urged doctors to make more speedy diagnoses of conditions like cerebral palsy. To discourage delayed diagnoses the Academy also published a 12-step process for making a diagnosis. While it is still not definitive or quick, the guidelines do help physicians and medical teams make this crucial diagnosis earlier so that children get the treatment they need and parents can litigate on behalf of their children. The diagnosis is a crucial part of a cerebral palsy life care plan, and it is much more involved that parents may realize. It must include components that help medical caregivers develop the best treatments and interventions, but also all the records and evidence needed by the legal team to make a case for medical malpractice and the need for compensation.